and Mr. Andres Batitis, president, PIDAMMARIS . LOS BAÑOS, Philippines – A portion of the experimental farmland of the International Rice Research Institute (IRRI) will soon become the site of research to find the most efficient way to distribute irrigation water. Under an agreement signed recently among the National Irrigation Administration (NIA) of the Philippines, the farmer association Pinag-Isang Damdamin ng mga Magsasaka ng Mabacan River Irrigation System, Inc. (PIDAMMARIS), and IRRI, the project will be looking at rice productivity and water use, sustainability of rice production systems, water quality, and the overall operations and management of a local irrigation system, with the goal of developing a model approach for other irrigation systems under NIA. 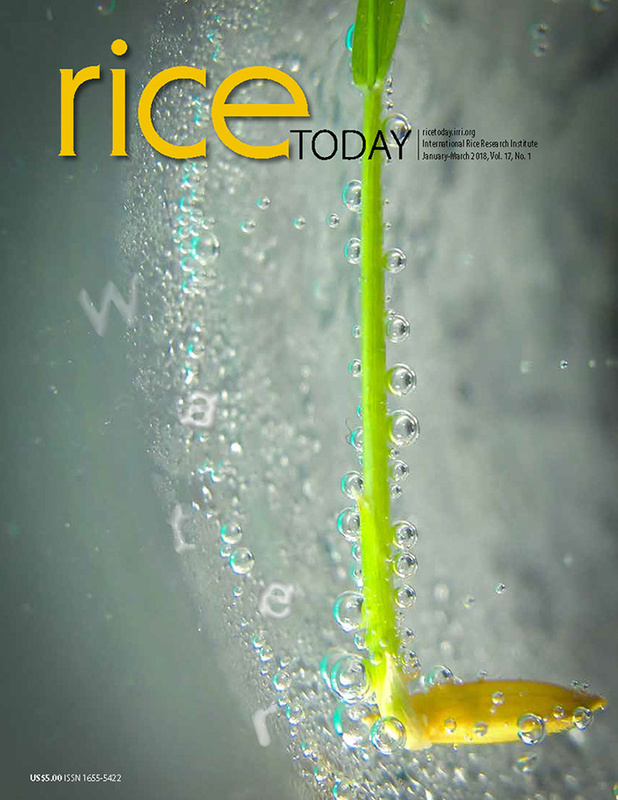 Rice uses approximately 30% of the freshwater used for crops worldwide. In Asia, more than 80% of developed freshwater resources are used to irrigate rice. Thus, any means to reduce the need for and actual usage of water without compromising yield will help improve distribution in areas with irrigation and improve supply in areas with scarce water supply. For the project, IRRI will set up a 20–40-hectare irrigated area at the Zeigler Experiment Station (ZES) that will serve as the research site. NIA will then provide access to irrigation water from a main canal that it maintains, located at the lowland area of the IRRI farm. To protect the water supply for other rice farms serviced by NIA, a threshold will be determined, beyond which IRRI will be allowed access to water for purposes of the research. Water use will be paid for by IRRI, which has also committed to assist NIA in calibrating the Mabacan River Irrigation System (RIS), using IRRI instruments to measure flow rates and IRRI staff to lead the collection. The Mabacan RIS flows out of a watershed in Calauan, a nearby municipality. Data and information resulting from the project will be shared with NIA. PIDAMMARIS, for its part, will monitor discharges of irrigation water from the NIA canals flowing to the ZES, maintain the canals, monitor water quality, and perform minor repairs in the canals when needed.